Contract Works Insurance is for Contractors or Property Developers, that are changing the dynamics of an existing structure or creating a new build. It can be an individual insurance for a specific contract, part of a Contractors all Risk policy, or as part of a Contractors Combined Insurance. Whatever your contract works insurance requirements, please get in touch today for a free no obligation quotation. As a contractor or a property developer, your projects can involve legal and financial exposure for yourself and your client. You have to make sure that you’re fully protected for the type of build you’re undertaking. Contract Works insurance is a policy that is sometimes overlooked but can offer you the appropriate safeguard for your project. Liability Insurance doesn’t necessarily give you full cover for your project and so it’s important to understand whether you are fully Insured and if not, how to rectify that. This is where Contract Works Insurance comes in. At Construction Insure, we’ll give you the right advice and broker the right policy to cover your project. Why do you need Contract Works Insurance? The first thing to ask yourself, when taking on a refurbishment, new build or development, is “What insurance policy do I need to fully protect my project?”. Some contractors believe that a liability policy will cover them for any problems that may occur. But this is usually not the case. While liability insurance may be adequate for a small, non-structural, refurbishment or any type of internal refurbishment, it won’t cover you for every aspect of your build or development. For instance, if your build extends the area of the property outside the original dimensions, such as a rear extension or a loft conversion, a liability policy won’t cover those new structures. So, if damage occurs to those new parts of your build, through fire, flood or perhaps vandalism, a liability policy would leave you to finance any repairs yourself. We’ll work with you, every step of the way, to make sure your investment is fully protected for the life of your project, and beyond. Often, property developers are advised by their lenders to obtain a Contract Works policy. The lenders see it as necessary to safeguard their investment in your building project. They want know you’re protected in case your builder’s insurance fails. 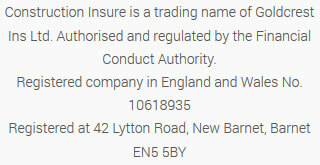 This aspect of the insurance is known as a JCT 5.4b, or Joint Contracts Tribunal policy. It’s a contract between the client or developer and the building contractor. If the builder’s policy is invalidated, perhaps because of defaulting on payments or even going into administration, it means yourself, or your client, are still protected in the case of a claim. Without it, you could be potentially liable for hundreds of thousands of pounds. Which is why we advise a Contract Works policy, where appropriate, for many of our construction clients. Because we’ve been brokering construction insurance for a long time, we know the questions to ask you about your build. To fully cover your build for any accidents, injuries, malicious damage or theft, you need a Contract Works policy. This will cover your entire build until the job is complete. 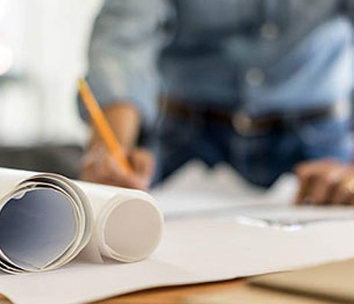 At Construction Insure, we specialise in advising our clients on exactly the right cover they need protect them during the life of their refurbishment, build or development. We want to help you get exactly the right insurance for your build or development. To find out how we can do that for you, please call us on 020 3958 6868 so we can talk to you about your build and gain a full understanding of exactly what you need and whether Contract Works Insurance is required. We are fully independent so you can be sure you are getting impartial advice.